There are commercials on radio and TV, print ads in magazines and billboards strewn about every town in Canada. We're growing ad-weary from interruptive advertising, and our brains are beginning to automatically filter out traditional advertising. The challenge for advertisers, marketers and agencies is to find places that their products or services can stand out and be relevant. 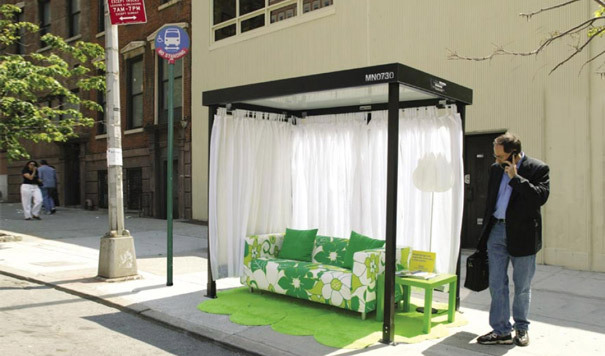 Sometimes those places are where you least expect them - a method advertisers call Ambient Advertising. Check out these fun spots that brands are finding to get their name out. For other guerilla tactics, check out this blog about Ambush Advertising.